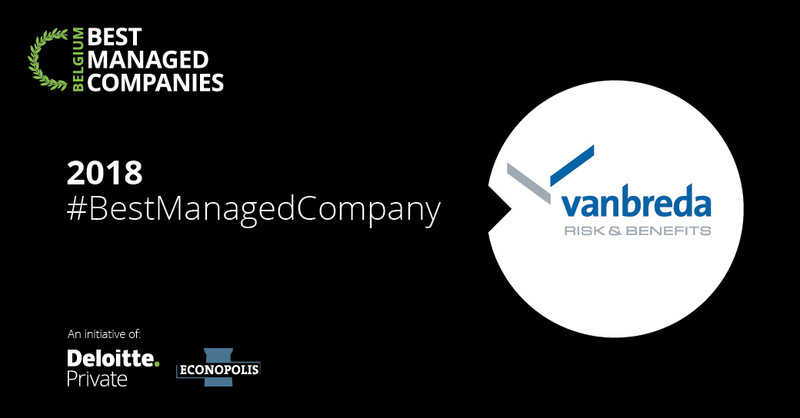 Vanbreda Risk & Benefits is selected as a Best Managed Company 2018 by Deloitte and Econopolis. The sustainable growth strategy of the Antwerp-based insurance broker, combined with major investment in innovation and digitalisation, appealed to the jury. During the final gala event, Vanbreda and six other companies were judged to be a Best Managed Company for 2018. These companies are now entering into a programme with Deloitte and Econopolis in which learning from and exchanging ideas with each other will be central.